Christopher Kendall, Founding Artistic Director and Conductor, is the recipient of the Smithson Medal as the conductor and artistic director of the 21st Century Consort. The group has performed at the Smithsonian American Art Museum, Nan Tucker McEvoy Auditorium, Smithsonian Hirshhorn Museum, Kennedy Center, Lincoln Center, the Spoleto Festival USA, on tour nationally, and on record for the Bridge, ASV, Centaur, Innova, Delos, Nonesuch, CRI and Smithsonian Collection labels. A televised performance devoted to the music of Aaron Copland won an Emmy Award in 1984. Prior to his appointment as Dean and Professor of Conducting at the University of Michigan's School of Music, Theatre & Dance in summer 2005, he had served as Director of the School of Music at the University of Maryland since 1996. Earlier, he was Director of the Music Division of the Boston University School of the Arts, and Music Director of the Boston University Tanglewood Institute. He assumed the Boston post following a five-year term as Associate Conductor of the Seattle Symphony where he led that orchestra in concerts of repertoire from the 18th, 19th and 20th centuries. Kendall is also the founder and lutenist of the Folger Consort, early-music ensemble-in-residence at the Folger Shakespeare Library. The group performs extensively in Washington, D.C. and has toured and broadcast nationally. Kendall's guest conducting appearances have included the Seattle Symphony, Dayton Philharmonic, Santa Fe Chamber Music Festival, Kitchner-Waterloo Symphony (Canada), San Francisco Chamber Orchestra, Music Today, Collage New Music, Dinosaur Annex, New York Chamber Symphony, Chamber Music Society of Lincoln Center, Da Capo Chamber Players, and the Orchestra, Symphony and Chamber Orchestra of the Juilliard School. The Consort's artists are all accomplished musicians deeply committed to performing new music. As principal players with the National Symphony Orchestra and other prestigious ensembles, they bring a rich and varied background to their performances. The biographies of core ensemble members are illustrative of the caliber of talent they bring to our stage. In addition to the musicians listed here, who are "regulars", dozens of the finest musicians in the nation perform with the 21st Century Consort as needed for the extremely diverse and challenging compositions regularly selected for performance. Paul Cigan, clarinet, member of the National Symphony Orchestra, has performed with the Concerto Soloists Chamber Orchestra, and as Principal Clarinetist with the San Antonio Symphony, Colorado Symphony, Virginia Symphony, and the Sarasota Orchestra. Other orchestras he has performed with include the National Repertory orchestra, New World Symphony, and the Spoleto Festival USA Orchestra. Mr. Cigan has also performed as chamber musician with members of the National Symphony and National Musical Arts. Lee Hinkle, D.M.A., is a percussionist and baritone vocalist whose percussion playing has been called “rock-steady” by the Washington Post. He made his Carnegie Hall solo debut in 2014 with the world premiere performance of Baljinder Sekhon’s Double Percussion Concerto for two percussion soloists and wind ensemble. Hinkle’s notable performances have included his work with the National Symphony Orchestra as well as tours with Bebe Neuwirth, Bernadette Peters, and the American Wind Symphony Orchestra. With over a dozen published CDs to his credit, Hinkle’s most recent solo CD released in January 2015, “Theatrical Music for Solo Percussion,” can be heard on Albany Records. Hinkle currently serves on the faculty at the University of Maryland where he is Co-Director of Percussion Studies. He also serves on the Percussive Arts Society’s New Music / Research Committee and is the President of the MD / DE Chapter of the Percussive Arts Society. Alexandra Osborne, Australian violinist, was appointed to the National Symphony Orchestra by Christoph Eschenbach as the youngest member of the violin section in 2009 and most recently was the Acting Assistant Concertmaster. Osborne made her U.S. solo debut with The South Bend Symphony, and has appeared as soloist with all of the major Australian orchestras, the National Symphony Orchestra, the Auckland Philharmonia, and the Eclipse Chamber Orchestra. She is a laureate of the 2001 Michael Hill International Violin Competition and a gold medalist of the Symphony Australia Young Performers Award, Australia's largest and most grueling instrumental competition. A graduate of The Curtis Institute of Music and The Juilliard School, she currently plays with the 21st Century Consort, Eclipse Chamber Orchestra, Omega Ensemble in Sydney, frequently performs with The Last Stand Quartet, and is a teaching artist for the American Youth Philharmonic Orchestra and the NSO's Youth Fellowship and SMI programs. William Sharp, baritone, appears frequently in Washington, DC with the 21st Century Consort, the Folger Consort, the National Symphony and the Cathedral Choral Society. Mr. Sharp performs internationally in concert, oratorio and recital repertoire. He has over two dozen recordings, and has been nominated for two Grammy Awards including Best Classical Vocal Performance in 1989. He has won the Carnegie Hall American Music Competition, the Young Concert Artists International Auditions and Kathleen Ferrier Memorial Prize, and the Geneva International Competition. He is currently on the faculties of Boston University School for the Arts and Aspen Music School. Lucy Shelton, soprano, is an internationally recognized exponent of 20th and 21st century repertory. She has premiered over 100 works many of which were composed for her by leading composers such as Stephen Albert, Elliott Carter, Mario Davidovsky, David Del Tredici, Alexander Goehr, Gerard Grisey, Oliver Knussen, Ned Rorem, Joseph Schwantner and Augusta Reed Thomas. Her performances have taken her to major cities across the globe (from Australia to Japan, Brazil to the United Kingdom and throughout the United States) for performances of orchestral, chamber and solo repertoire. She has recorded extensively for such labels as Deutsche Grammophon, Bridge Records, NMC and Naxos. Lucy Shelton is a two-time winner of the Walter W. Naumburg award, as a chamber musician and as a solo singer. Her collaboration with the 21st Century Consort began in 1978. Rachel Young, cello, a member of the National Symphony Orchestra, enjoys a varied career of orchestral, chamber, and solo playing. Prior to her appointment to the National Symphony she was the Principal Cellist of the Kennedy Center Opera House Orchestra. Her solo and chamber playing have taken her across the country and abroad to Europe and the Middle East. She has appeared as soloist with the National Philharmonic, the Peabody Symphony Orchestra, the New England Conservatory Chamber Orchestra, and the National Symphony Orchestra's Summer Youth Ensemble. She Has appeared as a chamber artist at the Garth Newel Music Center, with the National Music Arts Society, the Embassy Series, the Washington Music Ensemble, the Contemporary Music Forum, on WGBH and WGMS Radio, and at the White House. In addition, Ms. Young has added her sound to a short film, a CD of bluegrass music, and a soon-to-be released DVD of works of Schoenberg. She also serves on the Board of the Kindler Cello Society. Mark Huffman, audio engineer. 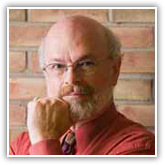 Since 1981 Mark has been technical director and audio/recording engineer at the Washington National Cathedral. He has also served as recording engineer for the Theater Chamber Players of the Kennedy Center and Left Bank Concert Society, and has completed location recordings for BBC. Curt Wittig (1939-2011), audio engineer and producer, has collaborated with many of the world's finest musicians in the United States and abroad. Curt recorded his first 20th Century Consort concert in October, 1979, and has recorded nearly every one until 2011, over 130 concerts and more than 500 individual works. He preserved and engineered these recordings to build the 21st Century Consort Archive, which is permanently housed at the Michelle Smith Performing Arts Library at the University of Maryland. These recordings preserve definitive performances of the best 20th / 21st century chamber music for performers, music-lovers, and scholars into the next century and beyond. Curt has more than 160 albums on LP and CD to his credit, along with hundreds of live and recorded radio and television broadcasts, and the sound tracks for a variety of theatrical and documentary films. Curt has worked extensively with musical and educational institutions in the Washington area, receiving awards including a Cine Golden Eagle for a soundtrack of African traditional music for a film by the Smithsonian Museum of African Art; the Julian Wulson Award from National Public Radio for "Best live chamber music recording" of a concert by The Folger Consort; and a Grammy nomination for Best Classical Engineering of an album of music by contemporary American composer George Crumb. He has also done audio production for multimedia installations at the Gerald Ford Presidential Library; the Chicago Historical Society; the Smithsonian's Museum of Natural History; the Corcoran, Renwick, and National Portrait Galleries; Explorer's Hall at the National Geographic Society; and the Rhodes University Museum in Grahamstown, South Africa. Copyright Twentieth Century Consort © 2019. All Rights Reserved.